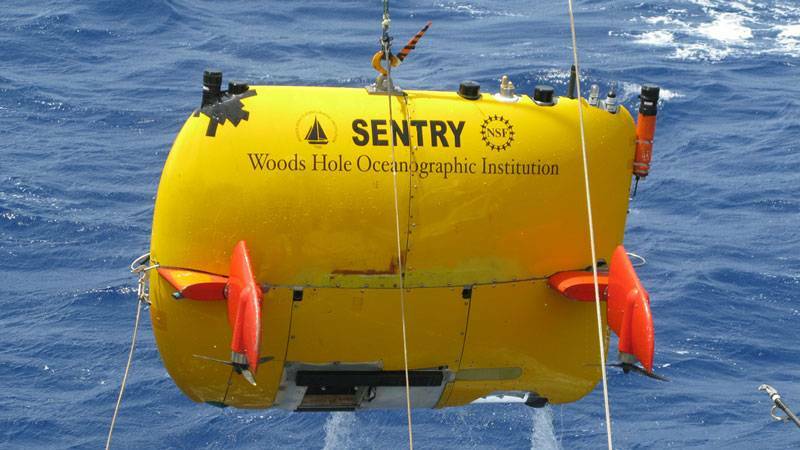 A team of scientists and engineers from the National Transportation Safety Board (NTSB), U.S. Coast Guard and Woods Hole Oceanographic Institution (WHOI) have located the voyage data recorder (VDR) of the U.S. flagged cargo ship El Faro, which sank during Hurricane Joaquin on Oct. 1, 2015, killing all 33 crew aboard. The VDR was located at approximately 2 a.m. Tuesday in the waters between Florida and the Bahamas at a depth of approximately 4,600 meters. 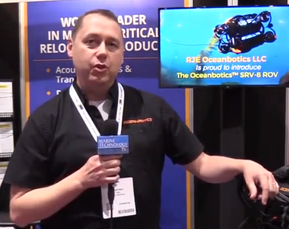 The team used a tandem system of unique vehicles to locate the coffee can-sized recorder: The autonomous underwater vehicle (AUV) Sentry, a one-of-a-kind vehicle designed and built by WHOI with funding from the National Science Foundation for oceanographic research; and a towed, fiber optically-controlled vehicle called Camper to collect video imagery around the site. The VDR was originally attached to the vessel’s mast, which was found on the seafloor several hundred meters from wreckage of the ship’s hull. 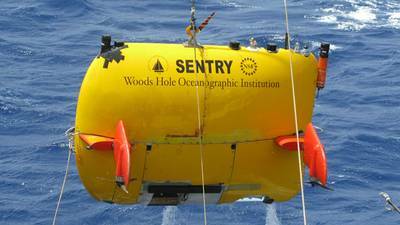 The search team is working from the research vessel Atlantis, which is owned by the U.S. Navy and operated by WHOI. Now that the VDR has been located, the WHOI team is using detailed photographs from Sentry to make photo mosaics of the location to plan the eventual recovery of the VDR. The team also continues to conduct extensive and detailed surveys of the shipwreck, to aid investigators who will determine exactly why and how the ship sank. The ship departed Charleston, South Carolina, April 18, and reached the wreck site on Thursday, April 21. The expedition involved coordination across various government agencies including the NTSB, the Coast Guard, the Navy, and the National Science Foundation. Data collected by the vehicles were sent ashore using advanced communications capabilities aboard the ship. NTSB, WHOI and members from the Naval Oceanographic Office were able to review the data in near real-time and provide the team at sea with helpful guidance. The ship-to-shore collaboration facilitated by RV Atlantis’s telepresence link will continue to ensure the remaining survey is completed to the highest standards possible. The Sentry operations team is using a mobile telepresence unit (MTU) to transmit data and images from the ship to shore. The MTU uses the computer and satellite network onboard Atlantis for real-time communications to a network designed and operated by the Inner Space Center at the Univ. of Rhode Island. Sentry is capable of operating in depths of 6,000 meters. It carries a variety of scientific sensors and uses sidescan and other sonar to create detailed maps of the seafloor. It is frequently used to search for hydrothermal vent sites on the seafloor around the world. In 2010, it was used in the Gulf of Mexico by scientists to map and characterize the sub-surface plume of hydrocarbons flowing from the Deepwater Horizon well blowout. Sentry is also equipped with cameras to capture high-resolution still imagery. Camper is deployed off the side of the ship using a fiber optic cable. It is equipped with control and telemetry systems and two high-definition color video cameras transmitting imagery in real time to its operators at the shipboard control station. Two thrusters on Camper enable crew to position the vehicle over targets of interest selected from maps generated by Sentry.